Nestled nicely in the foothills of the San Gabriel Mountains, the city of La Canada Flintridge is an affluent slice of private paradise. Home to a variety of past and present TV personalities and sports stars, this ritzy community offers private hiking, unbeatable weather, and a dignified culture. This city is great for those who are all about the lavish lifestyle and fancy living. With its proximity to the major highways and downtown Los Angeles, La Canada Flintridge provides the convenience of a small town, with the chaos of a big city just moments away. Whether for work, or pleasure, if you’re looking to move to, or from, the area, Acclaimed La Canada Flintridge Movers and Storage is here to help. We are experienced in all types of moves which include office, business, residential, local, long distance, large and small moves. Acclaimed is the premier, luxury moving and storage company in the La Canada Flintridge area. Our years of experience moving people in, and out, of the city has provided us with a uniquely detailed knowledge of how to control any troubles that may arise during a move. Also, Acclaimed meticulously trains each of its relocation specialists to ensure that your effects are properly wrapped, packed, and moved. Only those who are able to do these tasks properly are allowed to go and help move our customers. And with a fleet of top-of-the-line trucks, and industry protection standards setting packing materials, we can guarantee that your possessions are safe and secure. Acclaimed La Canada Flintridge Movers are the best in the luxury moving business. 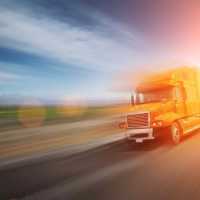 As a fully comprehensive La Canada Flintridge moving company, Acclaimed handles commercial, residential, local, national, and even international moves. Be it a car, boat, piano, or pillows, there’s no job too big or too small for our relocation experts. We asses each move on an individual basis, allowing our moving consultants to personalize every transition and ensure greatness. Our moving estimator is able to come to your site and calculate the costs required to move all your items from one place to another. We make sure every cost is reasonable so you are happy with both the move and the price. Our goal is to develop lasting relationships with our clients, helping them with every future relocation as well. At Acclaimed we do things right, understanding that a positive moving experience is a profoundly amazing thing. What will your move be like? An Acclaimed truck, and relocation team, will arrive at your door on the day and time of your choosing. With your assistance, they will inspect and inventory every item you would like moved. Next, our specialists will demonstrate their art, as they safely and securely wrap, pack, and then load your possessions. At this point, your effects begin the journey to their new home, unless there’s stop off time, at which point they will be stored in our enormous, temperature controlled, secure storage facility. 24 hour surveillance and a climate control system, which prevents rust, fading, and wear to your items, provides the peace of mind that your belongings are safe and sound. Since its incorporation as a city in California in 1976, La Cañada Flintridge has maintained a steady population of around 20,000 residents. The city was once divided, prior to official incorporation, into two distinct districts: La Cañada to the north and Flintridge to the south. La Cañada got its name from the Spanish word for canyon, and Flintridge from its original developer, Former United States Senator Frank P Flint. After the city was incorporated in the 1970s, the two communities merged as one, and now can be referred to by either name separately, or both names together. There is no hyphen between the names of these two formerly divided areas, which serves as the ultimate testament to the unity they share with one another in the present day. The La Cañada Unified School District presides over the majority of the city, and continues to flourish as one of the top-performing school districts in the state of California. Results of statewide standardized testing in 2010 indicated that the La Cañada Unified School District performed at the top of the state of California, coming in second-highest in the entire state. La Cañada Flintridge is an excellent place to relocate, whether for work or pleasure. Its clean, safe streets and modest suburban feel make it an impeccable place to settle down and raise a family, keeping in mind the stellar educational options available publicly. When you’re ready to move into the La Cañada Flintridge area, you need the best of the best to handle your relocation, and only one company can rise to the occasion: Acclaimed Flintridge Movers. The community of Flintridge, California is now comprised together with the neighboring area of La Cañada to form one unified town known simply as La Cañada Flintridge. Only a fifteen minute drive from downtown Los Angeles, La Cañada Flintridge has a population of just over 20,000 and is designated as a Tree City USA. There is a thriving community center in the area which offers classes of all kinds as well as extracurricular activities to kids and even adults. Kids can enroll in sports camps such as tennis, soccer, snowboarding, basketball and flag football, as well as take dance classes ranging from ballet &tap to hip-hop, and even preschool jazz dancing. In addition to artistic courses such as guitar lessons and ceramics classes, kids can join academic enhancement groups where they can learn things like babysitting skills, how to take things apart, and how to safely design and build their own objects. Adults can take part in the fun with adult ceramics classes meeting several times during the week to accommodate busy schedules, as well as with a few different types of fitness classes to meet everyone’s athletic abilities. Every year at Thanksgiving, the community hosts an annual Thanksgiving Day Run & Food Drive, which is a crucial fundraiser in supporting the continuous efforts of the La Cañada Flintridge Community Center. This 5K road race event has been a holiday tradition for more than two decades, and has seen up to 2000 runners during the years it’s been held. Moving with Acclaimed La Canada Flintridge Movers and Storage is a relaxing experience. We remove all of the stress and struggles normally associated with transitioning to a new place. Our award winning service and affordable rates only further solidify us as La Canada Flintridge’s luxury commercial and residential moving experts. If you think the time is right for a move, call us today for a free no obligation quote. We’ll get you moving. (888) 668-3703. Excellent service on time with AAA customer service from the most reputable La Cañada - Flintridge movers. Want full service La Cañada - Flintridge mover in California call for free estimate 888-668-3703. If you want, you can also send us an email through our website. Our associates are available Monday through Friday during regular business hours. Contact us at Acclaimed La Canada Flintridge Movers and Storage so we can get you started on your move today.